In its purest form a High Yield Portfolio (HYP) is a strategy designed to develop an Income Stream, which then provides an alternative to purchasing an Annuity with your Pension Fund or other investments. The first priority is to amass 15-20 shares (minimise company risk), from different industries (minimise sector risk), from the FTSE 100 (minimise stability risk) that you believe will spin off dividends that rise at or above the rate of inflation. If you achieve this then your purchasing power is maintained or increased. Wealth Warning: I don’t know if long term this HYP strategy will work. There is every chance that a simple diversified portfolio of lowest expense index trackers invested tax effectively will in the long term outperform this strategy. Only time will tell. I’ve already proven that I can’t market time and I keep telling myself that this strategy plays more into the hands of my mechanical, non emotional style which has so far worked well. Even so I’m taking this very slowly and am most definitely only going to make this a part of my Retirement Investing Today Portfolio. It will sit within the UK Equities portion of the Portfolio. I started along the DIY investment road in 2007. Then in November 2009 started this blog as a naive but committed to learn investor. 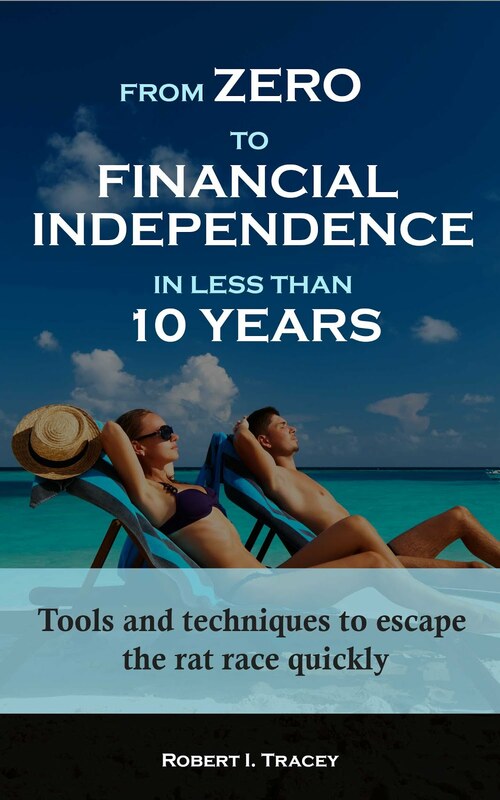 It is now 2012, some 5 years later and through the strategy I discuss in this blog which includes large (I target at least 60% of earnings monthly) regularly additions to the portfolio I today likely find myself only 4 years away from the option of transitioning from the accumulation phase of retirement investing to the drawdown phase associated with Early Retirement. At the point of Early Retirement I may keep working, I may work part time or I might pack it all in to pursue other interests. Work could be paid or voluntary. I don’t know any of that yet so am assuming worst case which is the need to support myself 100% from my Retirement Investing Today Portfolio. I’ll only be in my early 40’s at this point so won’t be able to access the 38% of my savings held within my Pensions today. I also want to leave the 12% of my savings that I hold within ISA wrappers untouched for as long as possible to maximise opportunities for compound growth and dividend reinvestment by maximising the amount of time in a tax free environment. Additionally during accumulation I will continue to maximise ISA contributions but even in Retirement I intend to shift assets from non tax efficient locations to the tax efficient ISA wrapper. Therefore maximising income outside the traditional tax efficient wrappers is paramount. being as tax efficient as possible. This is where the HYP comes in which I actually started in late 2011. As I get buy signals within the UK Equities portion of my portfolio I am now starting to purchase HYP shares in a Hargreaves Lansdown Fund & Share Account. I know by starting now that as a 40% tax payer the dividends are taxed at effectively 25% however that’s better than 40% if the money was in a savings account. Where I win however is that in Retirement when I expect to be a 20% tax payer I know those dividends will be taxed at an effective 0%. So the HYP should hopefully take care of 1 and 2 while owning individual shares outside of tax efficient wrappers still meets 3 with no tax to pay. Another benefit of the HYP is that it also is addressing another pillar of my investing strategy which is maximising return by minimising expenses paid. So far my HYP consists of AstraZeneca (LSE ticker: AZN), Sainsbury’s (LSE ticker: SBRY) and SSE (LSE ticker: SSE). 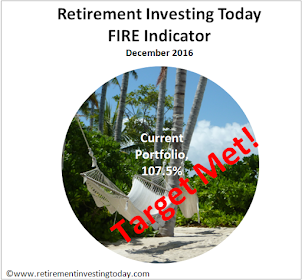 It is still only in its infancy representing only 2.5% of my total Retirement Investing Today Portfolio. To demonstrate my HYP buying criteria let’s use these 3 companies plus my likely next addition, Vodafone (LSE ticker: VOD), as examples. My first criteria is qualitative as opposed to my much preferred no emotion, mechanical quantitative criteria however I think it is still very important. I want to understand how the business I’m buying makes its revenues in less than 10 seconds. AstraZeneca develops and then sells medicines that hopefully make a difference to people’s lives. Sainsbury’s is a food retailer with over 1,000 stores. SSE provides gas, electricity and home services to 9.5 million people. Finally, Vodafone provides mobile voice, messaging, data and fixed broadband and has over 40 million customers. All are simple to explain and understand. All therefore meet my first criteria. All of the companies are within the FTSE 100 so meet the large criteria. Whether or not we are in recession people still get sick (AstraZeneca), need to eat (Sainsbury’s), need to heat and light their house (SSE) and in the modern world communicate using various non face to face means (Vodafone). So all meet my second criteria. 3. A range of industries. To minimise risk I’m looking for the shares to be spread across a number of sectors. AstraZeneca is from Pharmaceuticals & Biotechnology, Sainsbury’s is a Food & Drug Retailer, SSE is classified as Electricity and Vodafone is classified as Mobile Communications. The group then meets this criteria. 4. Dividends payouts that are above that of the FTSE 100. In my opinion it’s not a very high yield share unless it has a high dividend yield. I am looking for shares with dividend yields somewhere between the current FTSE 100 yield of 3.77% and 150% of the FTSE 100 yield. I feel that shares within this range can still be good solid companies but they may just not meet the investment flavour of the month or they may be priced for lower growth than other companies (think utilities) in the future. So SBRY and VOD meet this criteria and go green. AZN and SSE are a little over. When I bought them they were at 140% and 146% respectively so were green. Even so alarm bells are not ringing and so rather than setting them to red I have gone for an amber meaning I would still consider them as a buy. 5. An unbroken history of continually increasing dividends plus dividends increasing at a rate equal or greater than inflation. If I am to maintain or increase my purchasing power as inflation erodes the value of sterling I need my HYP shares to increase dividends at a rate faster than inflation. My acceptance criteria under this metric are that the dividends over the medium term must increase at a rate equal to or greater than inflation. If I want continuity of earnings from company dividends I need my HYP shares to not have down years in dividend payments. My acceptance criteria for this metric is that for at least the last 5 years dividends must have increased year over year. All meet both of these criteria and so are green. In fact I know SSE has increased dividends year over year for the last 13 years. Dividend Cover is calculated by taking a company's earnings (net income) and dividing by the dividend paid to shareholders. On this metric I set the acceptance criteria at a ratio of greater than 1.5 for all HYP type shares except utilities where I think that greater than 1.25 is ok. I accept a lower Dividend Cover for good utility companies as their earnings should be some of the most consistent with little to no cyclicality. Importantly, I also don’t like too high a Dividend Cover as I think this encourages CEO’s with delusions of grandeur to run off and make over priced acquisitions, or worse, use the profits not paid as a dividend to buy back the companies own shares thereby maximising their bonuses. I want those earnings paid back to me so that I can choose where to allocate the capital across a far more wider set of sectors than the CEO can choose from. All meet this criteria and so are green. 7. Operating Cash Flow to Dividends. Company accountants through ‘creative accounting’ can make their earnings look good, hence Dividend Cover look good, for some time even if there are underlying problems in the business. One only has to think of Enron for an extreme example of this. Also earnings do not pay dividends, cash flow does. Therefore while I look at Dividend Cover as in 6., I also put a lot of weight on Operating Cash Flows compared to Dividends. Here I set a criteria of greater than 2. AstraZeneca, Sainsbury’s, SSE and Vodafone all meet this criteria and so are green. Going forward I’m eager to understand more about the best type of cash flow to use as a predictor of the ability to pay dividends. I’m actually starting to think that Free Cash Flow to Equity (FCFE) to Dividends could actually be a better measurement for assessing the risk of dividends being cut due to debt levels to name but one. After all it is the cash in the bank at the end of each year that pays the shareholders. Anything else is window dressing and not long term sustainable. I already own 3 of my 15 to 20 HYP shares. Using my acceptance criteria those 3 still look like good HYP shares. This post has also revealed that Vodafone looks like a good fourth addition as I continually add 1 to 2 HYP shares per year going forward. That said, will a HYP prove to be a better choice for me than simple UK FTSE All Share trackers? Only time will tell. Also, as I continue on my HYP journey will I make some bad choices? I’d say I will. The key I think will be to just make sure I make many more good ones than bad. Do you own a HYP? If yes, has it delivered what you thought it would? Do you have better metrics than the ones I use above? Do you agree with my metrics? As always I would welcome your opinions and thoughts. Finally, always do your own research. Yes, I own a HYP and it contains the same companies, amongst others, that you mention for much the same reasons. Over the years I have been very pleased with it, overall. I am not against share repurchase, though. I think this can be a good thing to do at certain points of the business cycle. Other sectors you should look at are: insurance, drinks, energy, construction, property. Thanks for jumping in and highlighting that you own the same companies. 1. A certain sector is doing well and is near peak of the business cycle for this sector. Company A is doing well. It is also likely that Company B is doing well given it is in the same sector. It's at times like this when IMHO Company A would choose to either buy some of its own stock or to buy Company B (synergies). This is because it is the time when most cash is sloshing around. Unfortunately it is also likely to be near the point of peak valuations so you can expect under performance of the investment going forwards. 2. A certain sector is doing well. Company A is doing well. It is also likely that Company B is doing well given it is in the same sector. Company C however is in a different sector which is unloved at this point in the business cycle. Company A chooses to give it's excess cash to me (the shareholder) as a dividend. I can then go off and buy Company C stock which is likely to be undervalued rather than bu more of over priced Company A or buy some of Company B.
I built a 20 share HYP during the crazy days of late summer 2011. Some members do have a less than perfect dividend record but seem to have learned from past mistakes. I guess we'll see! Performance is great so far, but I bought at what's turned out to be a very good time. Great to hear that you have had exceptional performance and excellent timing. Would you care to share your 20 share HYP with readers? Wow, what a detailed post! A quick thought though -- given you're so committed to saving and investing RIT (60% of earnings monthly) and your future goals are uncertain (i.e. you aren't sure you want to give up work) are you not tempted to do more to avoid tax? E.g. By making higher contributions into the SIPP to keep your income just outside the higher-rate threshold? Of course perhaps you're on mid six-figures and that's too much postponement (or not feasible) but it's something I've tried to do for years now, and that I model into my financial projections. I'd also be tempted in your circumstances to invest in some non-yielding investment companies (e.g. North American Smaller Companies (Ticker: NAS)) and harvest capital gains (hopefully!) up to the allowance each year. I know the phrase "don't let the tax tail wag the dog" and all that, but personally I feel as long as it doesn't involve going into the realms of the complicated, the offshore, and the -- needless to say -- dodgy, cutting down tax is an easy short-term win, almost a free lunch. Thanks for stopping by. As for mid six-figures. Now that would be nice. Even though the UK Government would be taking 45% of the majority of it, Retirement Day could then be measured in months and not years. The reason I'm not contributing more into Pensions, whether my Work's GPPP or my Personal SIPP is for risk reasons and to give me options. It is important to note that when I say I'm not sure if I will give up work that work at the time could be voluntary. Let me explain a little further. Firstly full disclosure. I currently have 38% of net worth in Pensions. I am also contributing about 56% of my regular monthly contributions to them also. The key Option reason is that someday in the future when houses resort to fair value I will be looking to buy. I am still renting like yourself. Depending on when that day arrives I either want a substantial deposit if I'm pre-early retirement or to pay cash if I'm post-early retirement. I wouldn't be able to take it from the Pension as I won't be 55 at that time. I also wouldn't want to take it from my ISA as I value it too much - a tax free income for life. I therefore need cash outside of both Pension and ISA. The key Risk reason is I just don't trust our government. IMO the only aim of Government is to win the next election. To do this they must satisfy the masses. The masses are consuming debt junkies without significant Pension savings. How easy would it be to increase the age at which you could access your pension fund while at the same time removing the 25% tax free lump sum and/or introducing a "small" tax charge on asset value. The proceeds are then used to buy the next election. Maybe a little extreme but I hope it demonstrates my thoughts. Note sure if you saw this post http://www.retirementinvestingtoday.com/2012/08/early-retirement-extreme-vs-early.html but it highlights some more thoughts in a little more detail. @RIT - Thanks for the follow-up. We really do have a fair bit in common, although I doubt I'll ever fully retire now. (I had a spin of doing nothing, and it didn't agree with me -- I just couldn't get motivated). What data source do you use to rack and stack the FTSE yields in? Trustnet, my favourite tools for analysing funds does not seem to support the same for Equities? interesting point you made about the Govt and retirement age/Tax free 25%...this is my worry because as you say for the majority they would have nothing to lose (although how many of those with such a poor pension provision would bother to vote anyway?!). One question regarding the income generated by the dividends...what is the tax position i.e. how much as a % are they taxed? Also, do you know of any sources that explain the 'ins and outs' of the taxes in such scenarios as well/simply as your posts...really find them easy to understand/follow. ...I am fairly new to the 'wonders' of investing/FIRE and apart from knowing that I have a personal Income tax allowance of £11k know very little else!